12 Şubat 2019 Salı 23:02 - 2 reads. 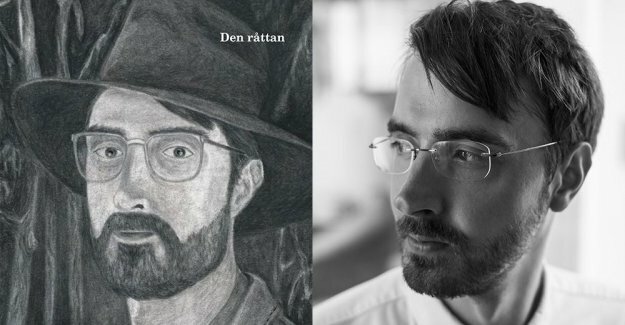 "Jack Hilden read Linus Gårdfeldts contradictory poetry"
"Linus Gårdfeldts fifth book, The rat takes place during the Swedish winter, and I read it in the Swedish winter, when everything feels hopeless and sickening. It is also the overall condition of this collection, which refers to the Game of thrones recurring mantra ”Winter is coming”, to illustrate a dystopian present and future." "The referred to as the rat can be a little bit of everything – diktjaget, other people, trends in society or a regular rat. Whatever is the subject for the viewer's contempt." "at the same time, there is a bright spot: the Poet begins to write, for the first time in a long time. Or so it is not at all a bright spot. Language seems to be an impossibility when a rat that might be called Donald Trump hisses out lies. And other poets, perhaps more successful, gives out his books, and in the midst of all this chaos of words, to try to find their own. " "the Narrator is caught. Want to both be with and to stand outside. Looking for something genuine in all falsehood. Longing for purity. We are many who do, and the theme begins to say the least feel of a cliche in contemporary culture. " "So begins the book as a more poetic poetry, and slipping gradually into a dagboksliknande text on the writing conditions. Questions about identity and belonging, which has always been central in the Gårdfeldts authorship, has this been moved to the highly personal. He seems as surprised himself. It is as if the ego fails with the writing, and resignerar before that the only thing he can describe is their everyday life. " "For a writer it's entertaining to read such a artless portrayal of the shameful, bitter thoughts of the type: what does my publisher right now? As a non-writer, it is probably a lot less interesting, but I can't take a position on this, nor that The rat will be used in the so-called poesidebatten. Gårdfeldt seem to yourself tired of the ”young poets” and their mannerisms, and he manages not really to get me to not get bored of poets who write about poetry and language. There really is not anything else the poets have to comment on? No wonder that people get tired! " "Which Gårdfeldt, ironically, also has done. ”but it's skitjobbig if you only do poetry,” he writes, and I agree with you." "at the same time, it is a quality in this contradictory book. Many authors struggle with to convince themselves that their work means something. It must, in order to cope. But the payoffs are usually minimal – economically, socially, socially. And is it even fun? The duality captures the Gårdfeldt convincing. "